Rogers is celebrating the upcoming Chinese New Year with a bit of a bonus. 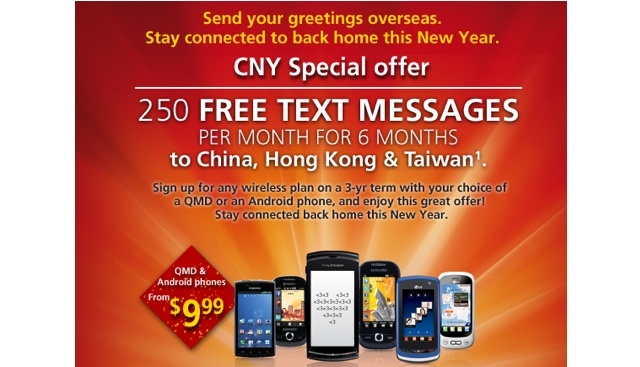 When you sign up for a 3-year contract with Rogers for a Quick Messaging or Android device they’ll throw in 250 free text messages a month for 6 months (1,250 texts) to China, Hong Kong, and Taiwan. The deal expires on May 4th.